Mr Metropolis. My first dabble with ceramics is an urban machine producing city people. 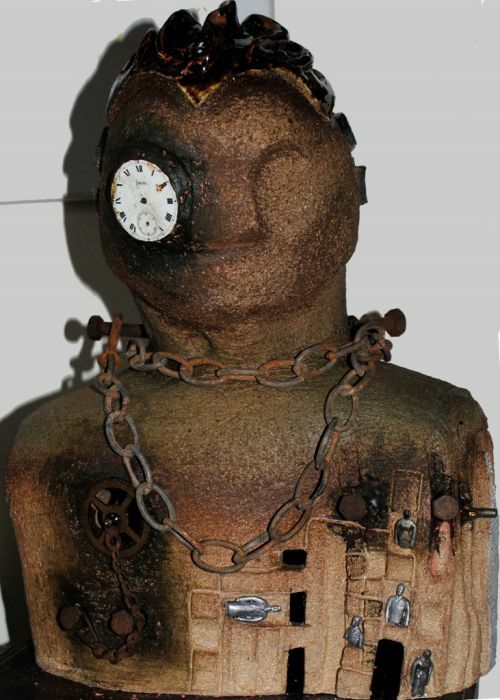 It is stoneware with metal chains and clock pieces.